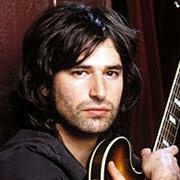 Pete Yorn生于美国New Jersey,在LA长大。他从2000年开始参加一些电影原声带的制作，这些电影包括金·凯瑞 (Jim Carrey)的《一个头两个大》，大牌云集的《完美盗贼》以及《蜘蛛侠》。随之而来的是各种奖项和音乐杂志不遗余力地褒奖。Pete Yorn不但自身才华横溢年轻帅气，除了自己的努力之外，厚实的家庭背景也使他的创作演绎之路更加平坦，非常地幸运。 在他沉稳略带沙哑的声韵中，多了份灵魂式触感，谱出如同新民谣风格的内敛情怀，相信有许多专辑，在没有强力商业广告发行与频繁的媒体曝光，一些优秀精致专辑就随着发片量之大的音乐市场消失无踪，甚至连痕迹都找不到，Pete Yorn让我们回归音乐原点，同时试问自己，有多久没有听到简简单单音符，并轻易让自己感动的音乐？在完全让自己放松无压的状态之下，想要好好欣赏完整张专辑？音乐界才貌双全才子Pete Yorn就是有着迷人特质，毫不譁众取宠，更不会过分添加音乐掺料剂，要你能够反覆聆听的一张优质专辑。 出生於纽泽西，在洛杉矶长大的Pete Yorn，虽然有着迷人外表，却总是暗藏在乐团後方担任鼓手一职，当朋友建议他试唱葛莱美音乐奖於1991年初设立「另类摇滚」奖项而随即获得提名The Replacements的经典旧作，令人惊艳的嗓音顺势成为舞台前主唱职位。2000年Pete的才华开始散发光芒，幸运的参与「一个头两个大」、「史瑞克」、「蜘蛛人」等多部电影原声带发声演唱机会，还获得Gibson吉他「最具前途吉他手」、「最受瞩目另类摇滚歌手」等大奖，Details杂志在「The Next Big Thing」单元介绍这位新才子，2001～2004年间陆续发行反应热烈的两张录音室作品以及两张现场特辑。 第三张录音室专辑《Nightcrawler》，以流畅动人音符贯穿，巧妙真假音转换以及随性如同吟唱诗人般的韵味，打从情绪激昂的揭幕曲〈Vampyre〉开始，吉他清亮播奏穿绕，越至曲末越能感受那份感染力极佳之声音触感；老牌乐手/制作人Tony Berg（Van Morrison、Peter Gabriel）坐镇之「Policies」，由吉他慢慢拉开不安鼓噪气氛，多部人声交叠引出阵阵复古摇滚气流；最为舒缓动听佳曲〈The Man〉，请来摇滚界炙手可热超级制作大将Michael Beinhorn（Red Hot Chili Peppers、Korn）掌舵，更加入女声之合音，增添更为动容聆听感受；全方位鬼才Butch Walker（Avril Lavigne、Sevendust）制作之〈Alive〉以及舒畅闲适小品〈Splendid Isolation〉，能让你不由听上数便，来回贯穿深具旋律的节拍，以吉他一抹快意摇滚活力，让人佩服Pete掌控音乐情感的精准度。Pete Yorn is proof that fairy tales do come true. The 26-year-old drummer turned singer/songwriter landed a record deal after an impromptu performance of his song "Life on a Chain" for a Columbia Records A&R person. In 2000, a few years after graduating from Syracuse University, the New Jersey native moved to Los Angeles, CA, where he began writing music for film and television. Things heated up when Yorn scored the 2000 Farrelly Brothers film Me, Myself, & Irene, starring Jim Carrey. Among Yorn&apos;s accomplishments, his song "Strange Condition" also appeared on the Elektra soundtrack to the film, and Yorn&apos;s "Just Another" is featured on the compilation album for the WB television series Dawson&apos;s Creek, Songs from Dawson&apos;s Creek , Vol. 2. Yorn co-produced his 2001 solo debut album, Musicforthemorningafter (Columbia), with Brad Wood (Placebo, the Smashing Pumpkins, Liz Phair, Sunny Day Real Estate) and R. Walt Vincent, while playing the bulk of the instruments himself. Yorn went on to tour the world for 18 months, allowing Musicforthemorningafter to go gold by April of 2002. In spring 2003, he returned with the earnest Day I Forgot. A year later, Yorn issued his first live album, Live from New Jersey; the double-disc set captured Yorn&apos;s late October performance at the Community Theater in Morristown, NJ. For his third studio LP, Yorn enlisted collaborators such as the Foo Fighters&apos; Dave Grohl and Dixie Chicks Martie Maguire and Natalie Maines for the bright rock sounds of Nightcrawler. The Butch Walker-produced effort arrived in August 2006 and was supported with plenty of in-store and club performances.